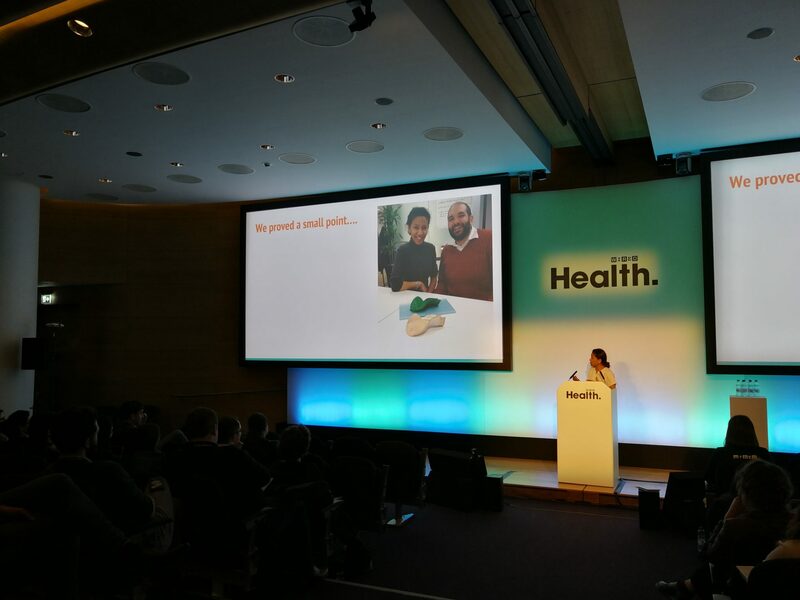 The healthtech conference WIRED Health confirmed that sensors, machine learning and AI are the future of prevention and diagnosis but it was the story of 3D printed orthoses that really captured our minds and hearts. The Francis Crick Institute was a suitably inspiring venue to host the 2019 health technology conference, the discovery of the structure of DNA being one of the most important advances in Biomedical Science of the 20th century, and the speaker line-up promised to live up to the setting. The conference kicked off with Mary Lou Jepsen, Founder and CEO of Openwater which is developing technology that will literally shine a light on cancers, cardio-vascular disease, internal bleeding as well as a host of other internal medical issues. The technology aims to replace MRI scans with a non-invasive and in time, a universally accessible, method of scanning the human body that analyses refracted light to create a detailed image of a particular part of the body. The device that transmits light through the body could be small enough to become a wearable and provide continuous monitoring for cancer patients for example – recording the size of tumours and enabling doctors to treat them more effectively. Poppy Crum, Chief Scientist at Dolby Laboratories talked about how sensor technology could be used to detect subtle changes in our health and provide early warning as well as monitoring during treatment for a host of conditions from depression to dementia. The amount of carbon dioxide we breathe out increases dramatically when we are stressed or depressed and changes in the timing of speech can indicate dementia, bipolar disorder or multiple sclerosis. There are already a range of devices from voice controlled speakers to home climate sensors that can detect these subtle changes that could also be utilised by health applications to identify or monitor these serious health conditions. The idea of continuous monitoring always strikes a contentious chord within me – the early detection of potentially life changing conditions is the obvious benefit and cannot be pushed aside lightly but the idea of being surveyed 24/7 makes me a little uncomfortable. We are fast becoming a world of hypochondriacs and this could seriously up the ante on that state of mind. The eradication of Malaria, regenerating organs from stem cells, the discovery of new drugs and a particularly gritty but inspiring talk about violent crime prevention in Glasgow by Karyn McCluskey, Chief Executive of Community Justice Scotland were other stand out talks through the day. Each of which could’ve been the topic of a conference in itself. There was a talk in the afternoon though that provided the real highlight of the day for me and that was by Samiya Parvez, Co-founder and Chief patient officer of Andiamo. Her son Diamo was born with cerebral palsy after medical negligence – he was quadriplegic and was also diagnosed with severe developmental delay. Diamo needed a number of Orthoses in order to help him perform basic functions like moving his head or sitting up in a chair. The process of measuring and casting the particular part of the body for the orthosis was often distressing as it meant long periods with a plaster cast on. The manufacture could then take up to 6 months by which time the he had grown out of the device all of which made for an extremely frustrating process for the parents and their child. Very sadly, Diamo passed away at the age of 9 in 2012. Some time after his death his parents became inspired by the way in which a 3D imaging process was being used to scan the exterior of vintage vehicles in order to then 3D print replacement parts. This led them to starting their company Andiamo that uses a 3D imaging and printing to create lightweight orthoses for children and has reduced the waiting time for these much needed specialist devices from 6 months to 1 week. This was such a moving and compelling story and the video of the patient using the new device, overcome with emotion, who had until then relied on a much heavier orthosis, provided the most inspirational moment of the day. 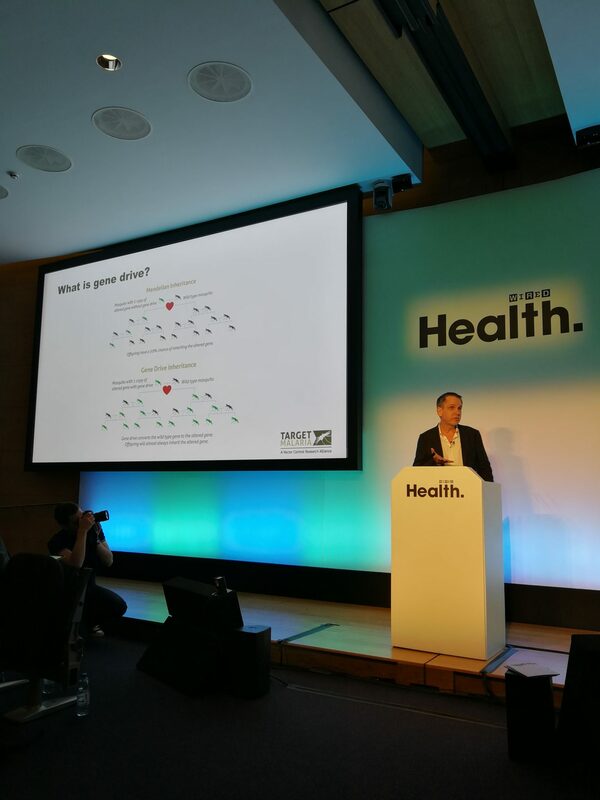 Wired Health 2019 was a thoroughly enlightening day and has provided plenty of inspiration as we develop our own products in the healthcare space. We looking forward to returning next again next year. Enter your email address for a fortnightly dose of fintech news.